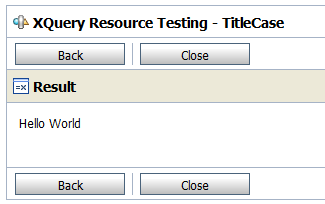 In this post I will show how to throw exceptions from an Oracle Service Bus 11g XQuery and then handle it into the pipeline flow. 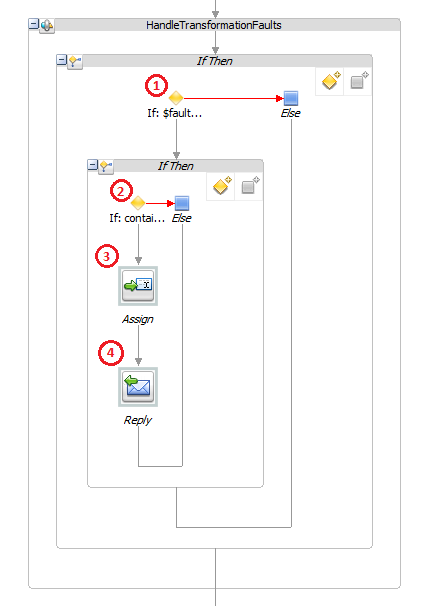 This technique is very useful to identify business exceptions into transformations and do business validations against the message payload. The use case presented here is only an example, but you can adapt the code to do whatever you want. When a middleware is used to make a lot of Web Service calls to Siebel CRM, the usual login mechanism is too slow and expensive. In the usual login, the Siebel application makes one login / logoff to every Siebel layer involved (application, database, etc) to every single call. When making a lot of concurrent calls, contention may occur in any of the underlying layers and some requests can be delayed or rejected, returning an error to the caller in some cases. 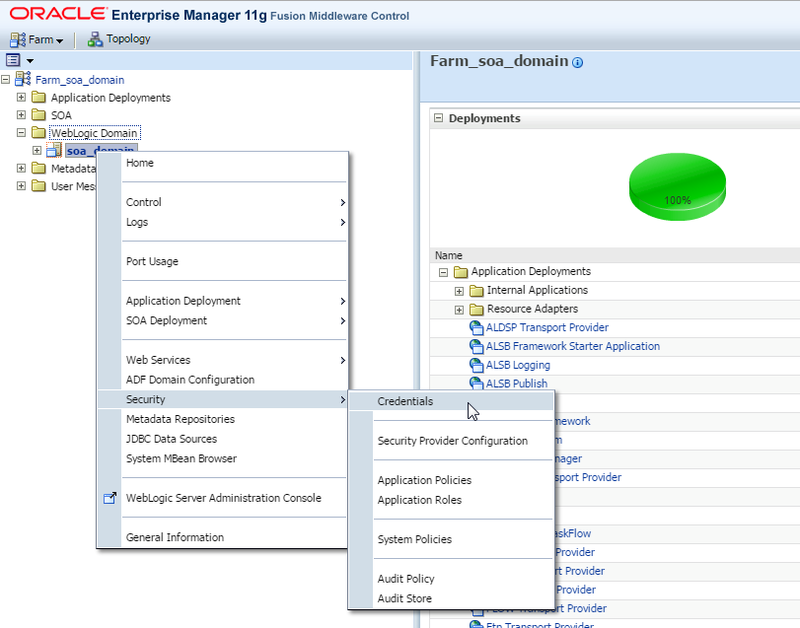 To ease this problem and improve performance, the most commonly solution is to use a Stateless Session Management of Authorization, which means that username and password are provided only in the first call, and subsequent calls are made using a SessionToken that is returned every time for the next call. Obviously it would be amazing to do some kind of Connection Pool, or more specifically, a Token Pool/Cache to open some stateless sessions on demand, and reuse them using the next tokens. I did a search in Google to find some references and cases of this approach, and I found some articles about using JAX-WS SOAP Handlers. But I was disappointed because I can’t use SOAP Handlers in my Middleware, and I can’t propagate this pool solution along all my applications making a Point-To-Point integration to Siebel. 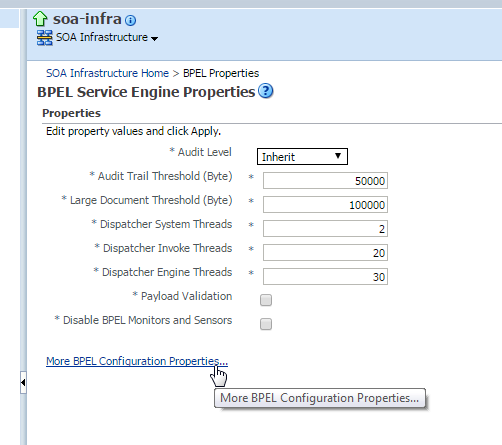 In this article I will show a solution to make the Siebel Connection Pool using SessionToken at the OSB level, in a SOA approach. 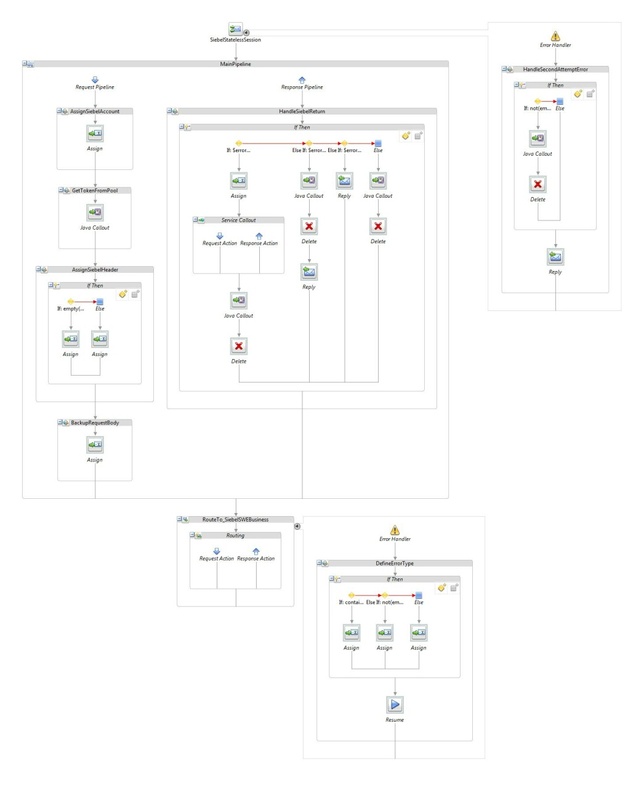 The best thing about this solution is the fact that none of the Siebel service clients are impacted by this change because the connection pool is centralized at the mediation layer, in this case, OSB, and no interfaces are changed. Using this simple date control we avoid having old tokens into pool and minimize the chances of waste Siebel calls to discover that the token is expired to try again with full header unnecessarily, improving the pool efficiency. However some expired tokens may still pass because sometimes may occur a milliseconds window between the token creation date on Siebel and the token creation date into our pool, so the expired token error still need to be handled. Now just assemble these classes into a JAR file and we are ready to define the best Message Flow to get/put tokens into this cache in the appropriate moments. Is a generic business service for all Siebel Web Services. 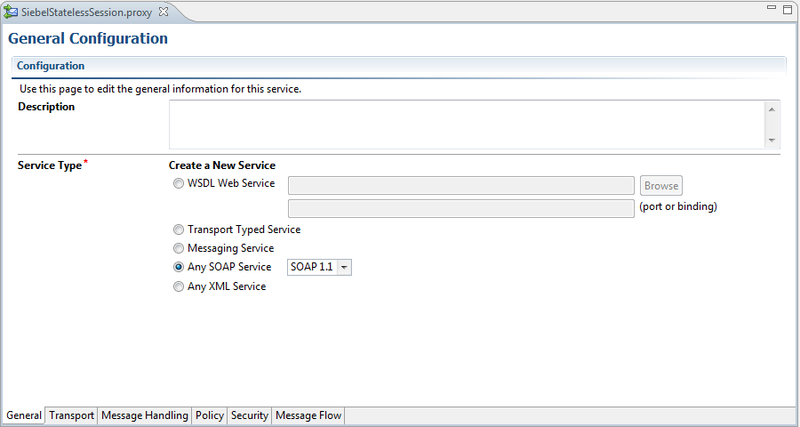 All SWE services use the same endpoint and are only differed by WSDL, so we can use a single BS of type “Any SOAP Service – SOAP 1.1”. 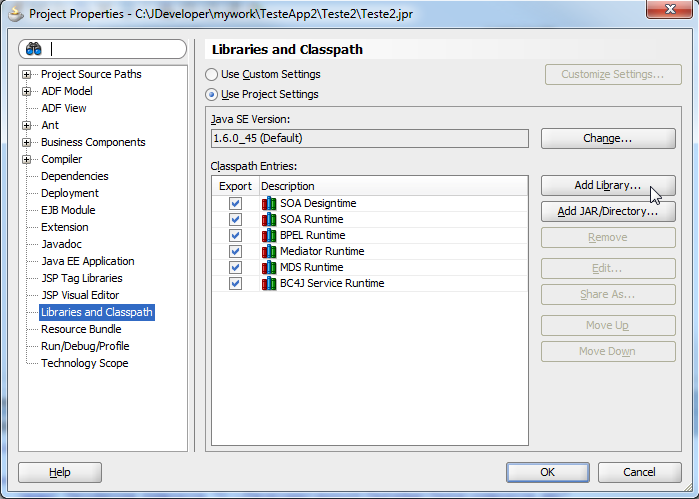 Is a simple JAR file containing the classes shown above in this article. We will use the “Java Callout” activity to get/add tokens from the pool using the static methods of the following class: “com.wordpress.gibaholms.TokenPool”. 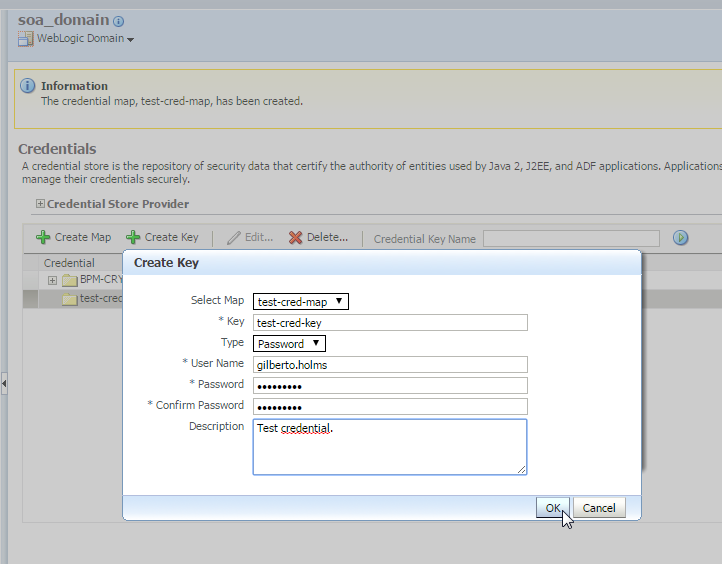 Is a Service Account of type “Static” that holds the Siebel username and password. The OSB clients authenticate themselves through the Weblogic security realm using WS-Security, which centralizes the access policies to corporative resources. DefineErrorType According to the return of the first attempt, we need to take some actions. 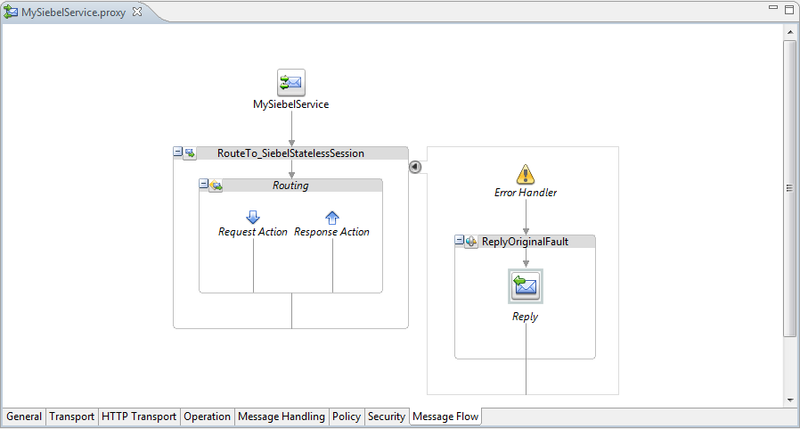 The OSB Error Handler is a very bad place to put complex logic because of the product architecture, then the route handler only detects the type of error occurred and let the flow resume to the response pipeline, which takes the correct actions. 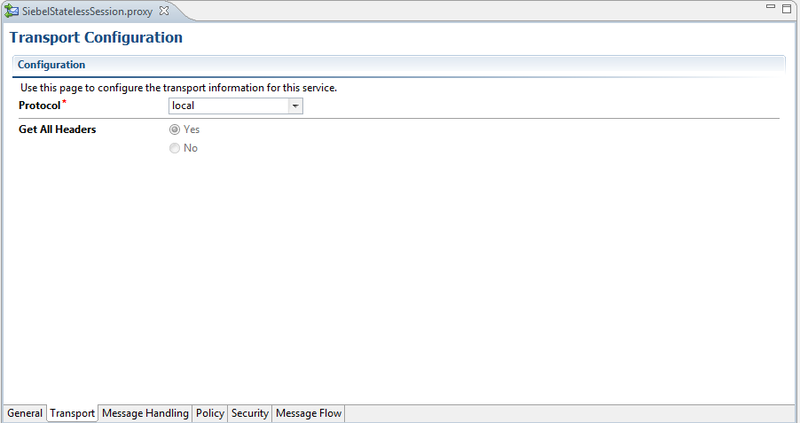 For security reasons, the response header is removed from the message in all cases. HandleSecondAttemptError The flow will fall into this block only if the second attempt results in error too, so it just verify if the error response have a token, which is added into the pool, otherwise, the error is returned to the caller. 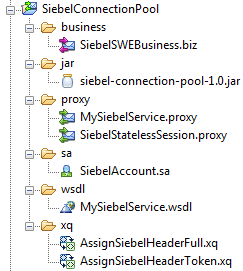 This WSDL represents our Siebel regular SWE Web Service, generated by Siebel Tools. No secrets here. Token expired error in the first call, and generic application error on the retry call, retuning token – OK. 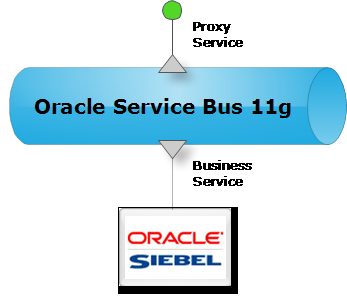 Incredible performance gain to the entire corporation, because all Siebel services can be pool enabled as fast as add a route in OSB. 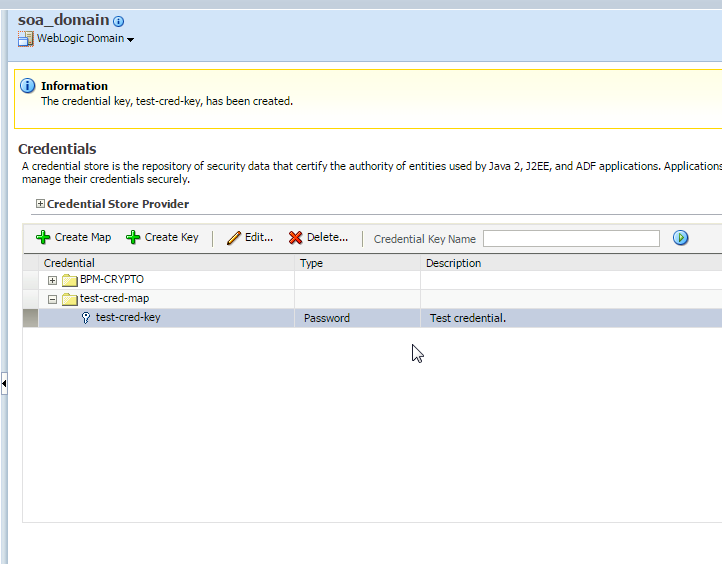 Now we can easy enable the Connection Pool to any Siebel SWE service into the SOA mediation layer, with no impacts on actual service consumers and “zero” code replication, in a corporative way. One of my clients made a requirement of transforming some customer data, returned by the legacy systems wrapped by OSB services, to the “Title Case” format, also known as “Pascal Case” and “Upper Camel Case”. That means that the text must be tokenized at the blank spaces and the first letter of every word must be in capitalized. The easiest and more convenient way to implement this requirement is by creating a function in pure Java and generating a Custom XPath or making a Java Call in OSB. To my client, I made a pure Java Custom XPath, delivered with all the JUnit tests to guarantee the maintenance and evolution of the function. 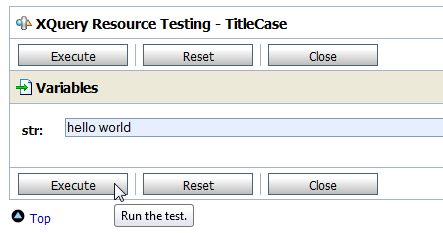 But, in parallel, I spent a little time making the “Title Case” function using only XQuery, just to exercise the language, which can be very complex at a first look. Saying again, the only purpose of this article is to show the power of XQuery and demonstrate the kind of things that can be done using this powerful language, which supports variable creation, decision and flow control structures, like any other programming language. To functions that will be widely and heavily used, making them using Java is the best approach of course. However, to do simplest and smaller things, or to avoid an xpath deploy and a server restart, you always can use the good XQuery language. Some time ago I was thinking in how to read XML Resources available in OSB projects at runtime. 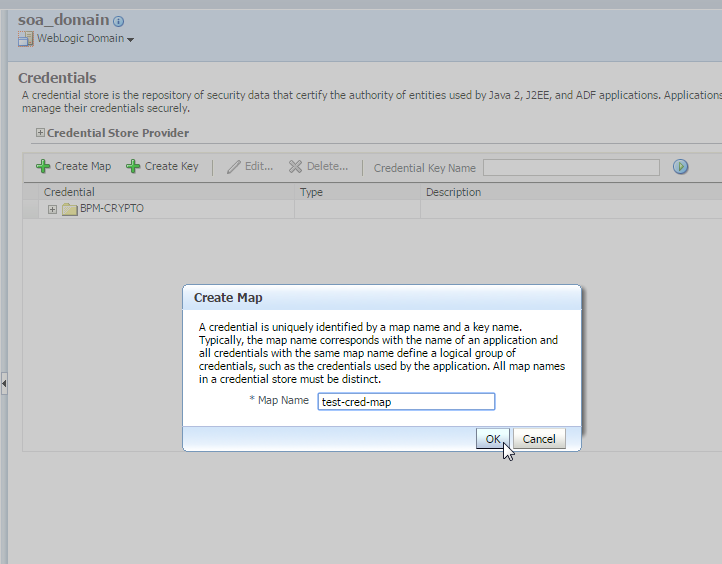 It would be very useful to hold some configuration data to be read by the proxy services through XPath or Java Call. After many searches in Google, I did not find any documentation or example in how to read OSB resources content programmatically at runtime. 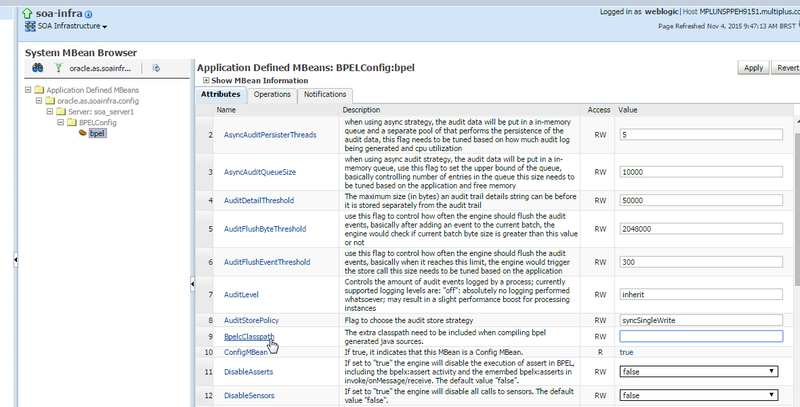 The popular OSB APIs and MBeans do not provide any method to get the resources content, but only their references. The question was how to get the resources content through their references. With the help of JShrink I spent some time decompiling the OSB native jar functions and making a reverse engineering to discover how to do this. Fortunately, after some good tries I found what I was looking for. 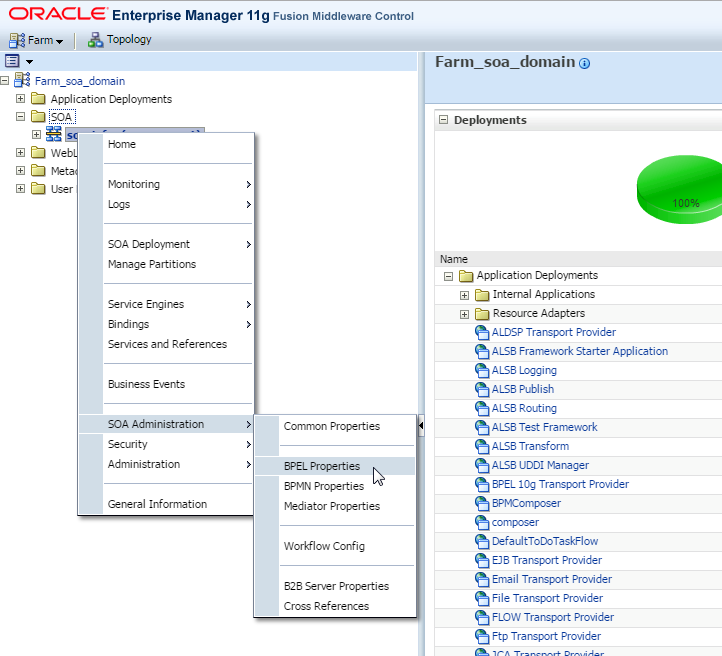 Using some internal OSB built-in libraries we can access any project resource at runtime. 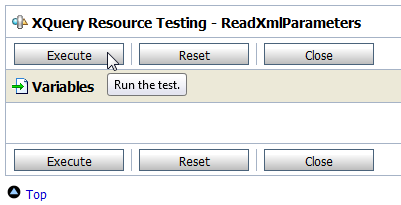 In this article I will show how to read a sample XML Resource programmatically at runtime. 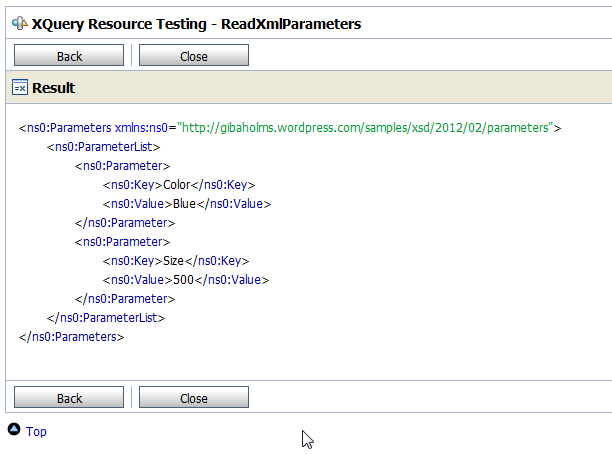 In this sample I will use a Custom XPath to read a XML resource that holds application configuration parameters. Obs. 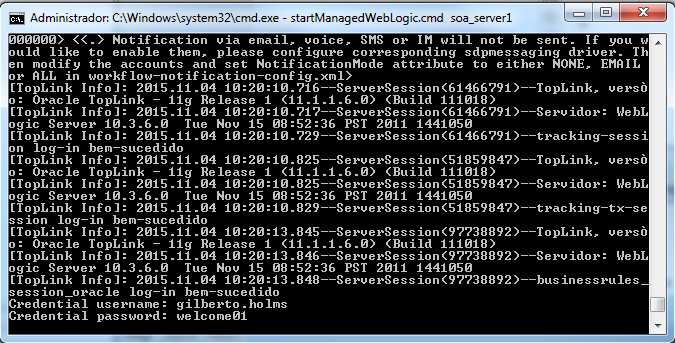 : the same API shown here can also be used into a Java Call. 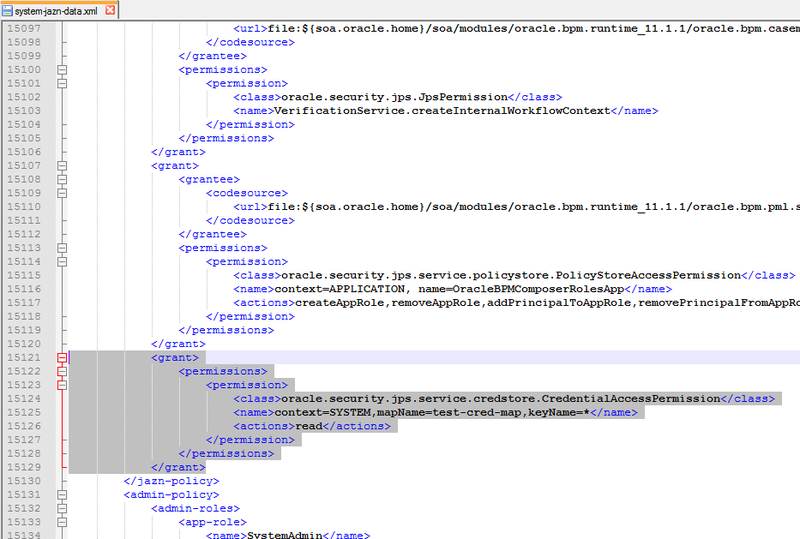 As we can see in the code, the class “com.bea.wli.sb.resources.xml.XmlRepository” does the magic of retrieve the XML resource content through it “com.bea.wli.config.Ref” reference. Following the same principle, we can use the other various “*Repository” classes to access other types of resources in projects at runtime, like Schemas, XSLTs, WSDLs and so on. I’m glad to share this discovery with other ALSB / OSB developers and I hope help you to do more useful things with this knowledge. If someone already has another solution to read OSB project resources at runtime or already use this API for some other purpose, please share the experience with us through comments. Thanks.